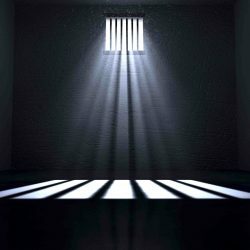 On the 16th World Day Against the Death Penalty, BHRC has issued a statement raising awareness about conditions of confinement in Bahrain, Egypt, Jamaica and the United States–countries where BHRC has taken an active role in advocating against the death penalty. In its statement, BHRC reaffirms its condemnation of the death penalty in all circumstances and notes that the tide of international opinion is against the continuance of capital punishment. On this World Day Against the Death Penalty, BHRC underlines the importance of maintaining human dignity in the conditions of detention of persons sentenced to death. These conditions affect also their families, relatives, lawyers and others. BHRC takes this opportunity to advocate the proper treatment of those whose cases it has recently highlighted. In many countries, people sentenced to death are detained in solitary confinement and can spend almost the entire day confined to their cells; in other instances, there are also cases of gross prison overcrowding. Other conditions suffered include insufficient food and drinking water, an absence of medical care, deplorable sanitary conditions and subjection to physical violence. In addition, there is the constant anguish of living under a death sentence and not infrequently the so-called “death row phenomenon”, which is the combination of a prolonged delay under sentence of death and harsh conditions of detention. Often the circumstances of those under sentence of death amount to torture or cruel, inhuman or degrading treatment and therefore a violation of the international human rights obligations of the State concerned, such as those pursuant to the International Covenant on Civil and Political Rights and the UN Convention against Torture and Other Cruel, Inhuman or Degrading Treatment or Punishment.